When he was young, Omar Diaz dreamt of outer space. Though he brought his dreams down to earth, he still helps clients discover new worlds. Success is happiness. Success isn’t just money or career achievement—it’s having a happy life. Innovation falls into two categories. The first is thinking of creative ways for solving problems or issues, and the second is having the ability to spot something new, and be open to it. Integrity is the most important thing in my life, and the most important thing, period. It’s the hallmark of successful people. It’s their ability to stay true to themselves, to be trustworthy, and the ability to follow through. Latino is not a specific race or ethnicity. Rather, it’s something I equate with pride—pride in my family, pride in my heritage, and also, in many respects, pride in the Spanish language and the culture we share. With his space aspirations in mind, checked against the reality of his own maturing ideas and aspirations, Diaz got his start at Cornell University, where he earned a BS in mechanical engineering. While at Cornell, Diaz realized that in addition to his analytical interests, he had a natural penchant for developing relationships, public speaking, marketing, and managing. He became involved as a leader in a variety of extracurricular organizations—such as the Society of Professional Hispanic Engineers, where he served as president of the Cornell chapter and eventually became a member of the National Board of Directors—all of which further informed his transforming professional outlook. 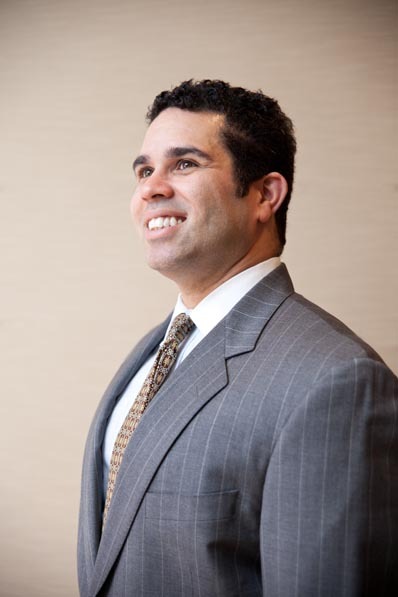 After graduating from Cornell in 1991, Diaz immediately began preparing himself for a career where he could have an impact on an organizations strategy and evolution. He worked first as design engineer and then a project engineer with Amoco, but specifically sought opportunities that would prepare him for a leadership role such as serving as chairman of the Amoco Hispanic Network. Diaz mentions a $5 book about investment banking he bought early in his career, the contents of which further piqued his interest, and led him back to pursue his MBA at the Kelley School of Business at Indiana University. He chose to return to school to gain the necessary knowledge and experience, which he carried over to Deloitte Consulting after graduating. His first major break came in 1998, when he became an associate at J.P. Morgan. He had just come off a year working as an associate with Bank of America—a position he culled through IU’s alumni network—and he hasn’t since looked back from M&A, taking on progressively senior positions in the industry until he landed at Dresner Partners at the beginning of 2011. In this context, Diaz considers himself as a sort of consigliere, totally committed to the success and happiness of his clients. This is an ethic that hearkens back to the leaders and mentors Diaz has looked up to over the years of his professional growth. And this, for Diaz, is what it means to discover new worlds.